Big Leather Couch: Five On Friday - Fudgie! Five On Friday - Fudgie! The band is Vanilla Fudge. One of the more creative bands (in my opinion) back during their heydays of 1966-1969 during which they recorded five albums, each slightly more daring than the next. A brief history and important facts regarding the band. Stein and Bogert played in a local band called Rick Martin & The Showmen and were so impressed by the sound of The Rascals (swinging and floods of organ) that they decided to form their own band with Martell and Rick Martin's drummer, Joey Brennan. Originally calling themselves The Pigeons, they changed the name to Vanilla Fudge in 1966, after the replacement of Brennan by Appice. The group was then "discovered" and managed by reputed Luchese crime-family member, Phillip Basile, who operated several famous L.I. clubs – the Action House, Speaks, Channel 80, Industry – three of which were the same club (on Austin Boulevard, in Island Park, New York) with different names. They had a number of popular songs, their biggest being their hit cover of "You Keep Me Hangin' On", a slowed-down, hard rocking version of the song originally recorded by The Supremes. This version also featured Appice's energetic drumming. The members of Vanilla Fudge were great admirers of The Beatles, and covered several of their songs including "Ticket to Ride", as well as "Eleanor Rigby". The self-titled debut album quotes "Strawberry Fields Forever" at the end, with the line "there's nothing to get hung about". Their rendition of "Bang Bang (My Baby Shot Me Down)" was featured in the 2007 film Zodiac. On March 14, 1970, Vanilla Fudge played a farewell concert at the Phil Basille's Action House. After that, Bogert & Appice departed to form another group, Cactus (In 1972, they left Cactus and formed Beck, Bogert & Appice with guitarist Jeff Beck). Stein, left on his own, tried to keep the group going with two new players, Sal D'Nofrio (bass) and Jimmy Galuzzi (drums) (both of whom had been members of a Poughkeepsie, New York group known as 'Dino & The Cavemen'). But when nothing came from this, Stein ended up forming a new group, Boomerang, instead with Galuzzi. In 1991 Appice revived the Vanilla Fudge name for a tour with former Ted Nugent's player Derek St. Holmes (guitar, vocals), Martin Gerschwitz (keyboards, vocals) and Tom Croucier (bass, vocals), which resulted in the album The Best of Vanilla Fudge – Live. In 2005, Vanilla Fudge reformed with all the original members for a tour with members of The Doors (now touring as Riders On The Storm) and Steppenwolf. Pascali returned in place of Stein for some 2005 and 2006 shows before leaving to join the New Rascals. In the summer of 2007 HBO's final episode of The Sopranos featured "You Keep Me Hangin' On" (this version included Pascali's lead vocals) as a theme for their cliff hanger, it was a featured soundtrack in three places of the episode. They were inducted into the Long Island Music Hall of Fame on October 15, 2006, along with Billy Joel and Joan Jett. Fellow Long Islander Felix Cavaliere inducted them into the hall. In the spring of 2011, Vanilla Fudge embarked on what was announced as their farewell tour. The lineup for the tour was: Carmine Appice, Mark Stein, Vince Martell and Pete Bremy(bass). On March 29, 2011, the band appeared on Late Night with Jimmy Fallon and performed "You Keep Me Hangin' On". HAVE A GRAND WEEKEND...I will as Nancy and I celebrate our 2nd Anniversary. Saturday, out for dinner at Fleming's Steak and then Sunday a Redbirds game with fireworks, Monday a party with neighbors! 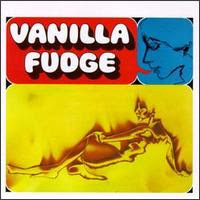 I would have named the band Vanilla Phfudge! 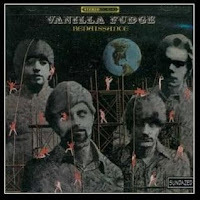 Vanilla fudge is pretty good, but I prefer chocolate. They always seemed to do more than cover a tune...they often completely re-imagined the melody.